KZen, a company run by former TC editor Ouriel Ohayon, has raised $4 million in seed to build a “better wallet,” obviously the elusive Holy Grail in the crypto world. Benson Oak Ventures, Samsung Next, Elron Ventures invested. 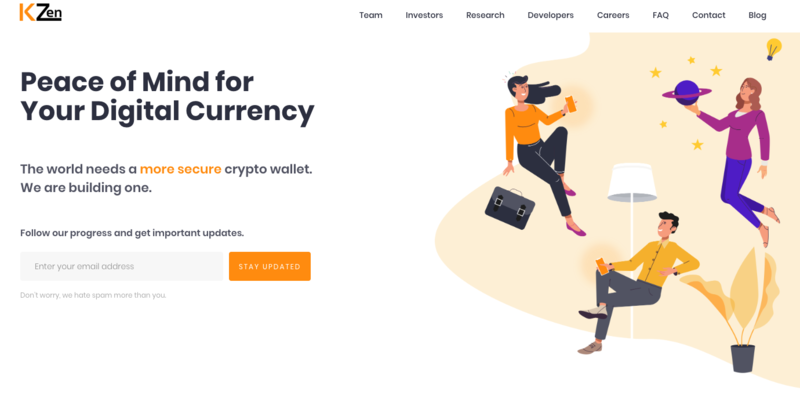 Ohayon, who has worked at Internet Lab and founded TechCrunch France and Appsfire, wanted to create an easy-to-use crypto wallet that wouldn’t confound users. The company name is a play on the Japanese word kaizen or improvement and it also points to the idea of the zero-knowledge proof. Omer Shlomovits, Tal Be’ery, and Gary Benattar are deep crypto researchers and developers and helped build the wallet of Ohayon’s dreams. The app is launching this month and is being kept under wraps until then. Ohayon is well aware that the world doesn’t need another crypto wallet but he’s convinced his solution is the best one. We’ll see as they use the cash to launch a crypto wallet that anyone – not just Xanax-eaters – can use.